Dolores Park is one of San Francisco locals' most loved destinations for the city's (rare) sunny days! 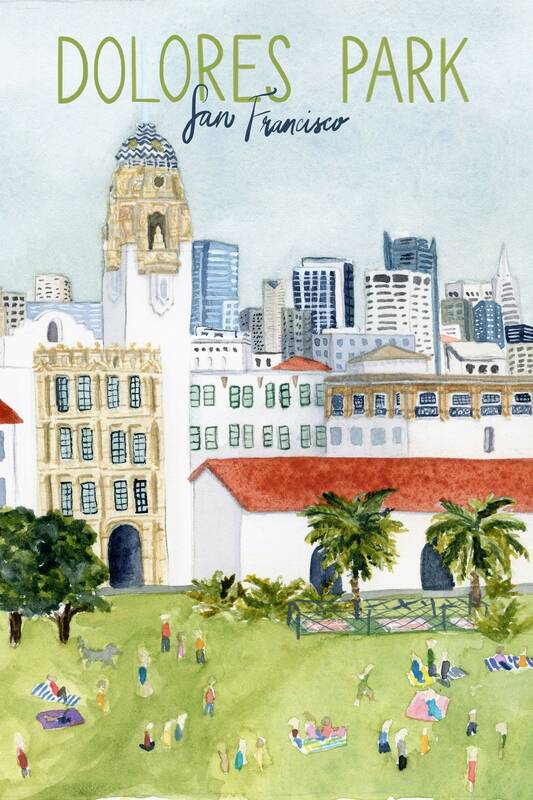 This San Francisco travel poster features a view of Dolores Park, looking towards Mission Dolores and the San Francisco skyline. The perfect San Francisco art to commemorate a trip to the city, or to satisfy wanderlust for a destination you have yet to visit! This art print is printed digitally using pigment inks on acid-free paper for longevity and to most accurately reproduce the original watercolor travel illustration.